Hello, TKW Family. It’s been a while, but that doesn’t mean things have been quiet – in fact, quite the opposite! This is to catch you up on some of the major changes we’ve undergone in the last half year. For those of you who are not in the know, we are no longer based in Observatory, TKW’s home for three amazing years. It might also surprise some of you to know that we no longer occupy fixed premises, but this is all part of our grand evolution into a – dare I say it? – pop-up school! TKW is now free to go wherever our services are needed. For now, we have partnered with Language Link College in Rosebank, Cape Town, where we host our highly acclaimed 120-hour in-class TEFL/TESOL course. We’ve had a great run so far, having successfully hosted three TEFL courses there already. While TEFL/TESOL training has to date been our primary concern, we’ve expanded our services to include job placement in the EFL industry. Opportunities are available to any native English speaker with a valid 120-hour in-class TEFL/TESOL qualification. Contact us directly for more information. If you’re a foreign student in need of an English language school, but don’t know where to begin looking, TKW can help you. 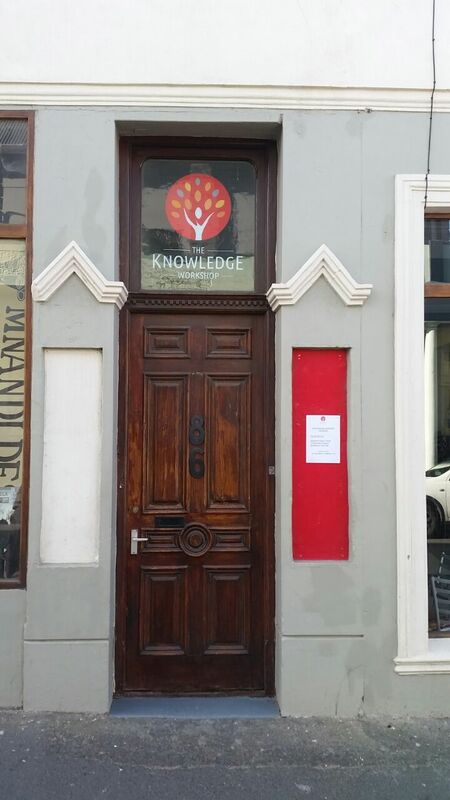 Our intimate knowledge of the language centre industry in Cape Town puts us in a unique position where we are able to guide you, give you advice on courses that would best fit your needs and budget, and ultimately help you find a school that is right for you. Our school-finding service will cost you nothing as we would receive a referral fee from the school you decide to study with. By allowing us to help you, you help us too! And this is what family is all about. Also, unique to TKW is our Language Improvement programme for South Africans for whom English is not a mother-tongue. Over the 10+ years of TKW’s lifespan we’ve assisted many South Africans improve their language ability, grow their confidence, and ultimately access better opportunities. Our programme has catered to local businesses and individuals, filling a much-needed gap, and it would be a travesty if we weren’t able to continue doing so. While we can no longer accommodate face-to-face classes, we can, however, bring our training to you. With a network of exceptional and dedicated teachers, we are able to match you to a tutor who will deliver training on site. We can accommodate group as well as one-to-one tuition. Contact us for a personal, professional, no obligation quote. So, that’s hopefully caught you up. TKW’s website (cringe) is sadly out of date, but currently undergoing a major overhaul. So bear with us, we’re almost there. Keep up to date by following us on FB and stay abreast of changes as they happen, and also job opportunities – remember we’re now placing teachers.